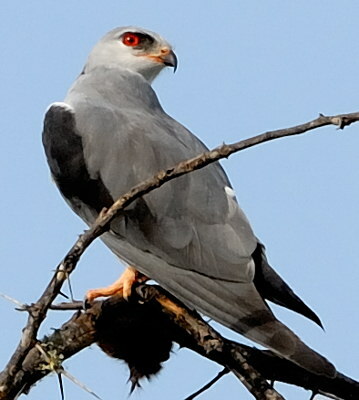 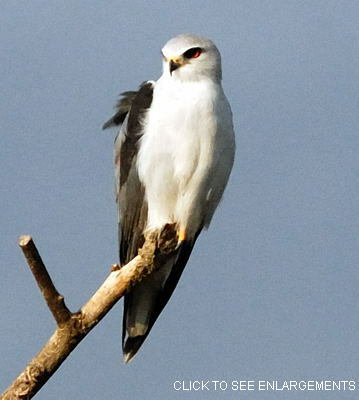 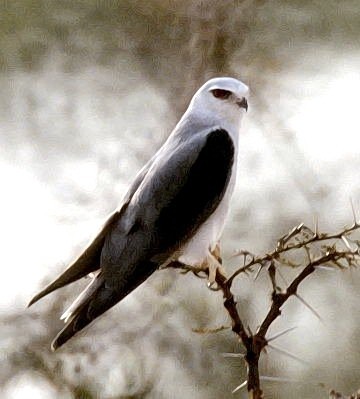 The black-winged kite was previously called the black-shouldered kite. 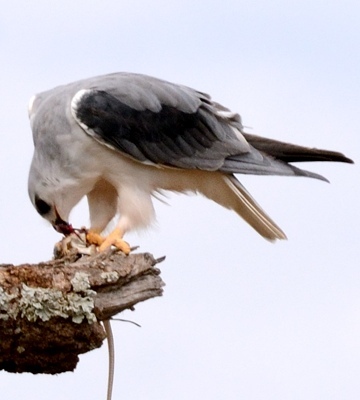 Click the left image above to see an aerial mating display that lasted 20 minutes or more and included inverted flight, talon presentation, dramatic swoops. 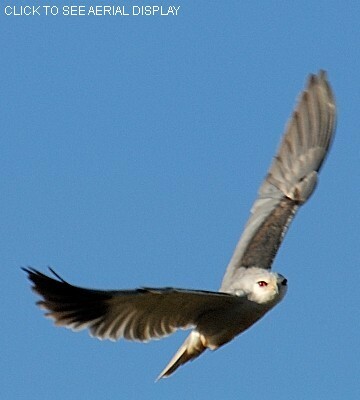 Note the amazing focus implied in the close passes and how the pair is continually looking at each other during flight. 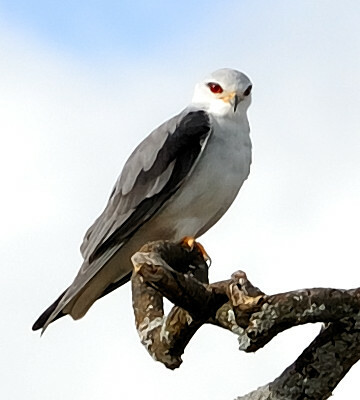 After displaying the pair briefly sat in a treetop, then flew off together. 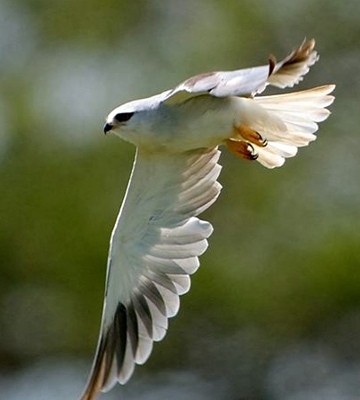 Click the right image above to see a series of enlargements including juveniles and immatures. 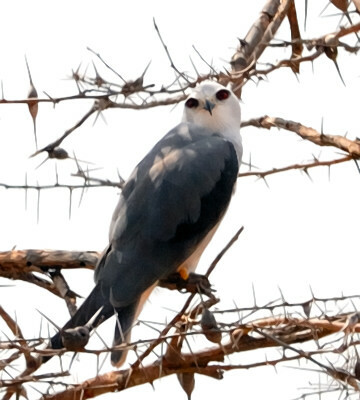 The top bird in flight is courtesy of Miquel Perez de Grigorio (Seronera, 8-13); the right 4th row flight photo is courtesy of Dan Klasson (seronera, 12-13) and the large photo of a perched bird (Tarangire, 2-17) is courtesy of Stuart Webb.